WHY LOVE YOURSELF BACK TO LIFE? You dream of living a successful life. You’ve invested in your career and family only to realize you feel emotionally empty. You are at a crossroad. You know something is missing, but you don’t know what it is. What if the answer was already within your reach? 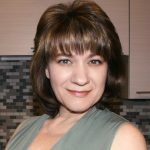 With this article, I will help you see life through new lenses, shining the spotlight on your inner world and eliciting awareness and insight. My mission is to release what’s blocking the flow of your success, to awaken your full potential and to love yourself back to life! Before going into the content, let me explain what you would be expecting on this article. I am a podcaster and I will be releasing new episodes every Monday, Wednesday, and Friday. Each podcast will last about 20-30 minutes and will be converted into a blog post so that if you wish to go back to some information, you will be able to read it on my website (nadiafleury.com). Please note, I may use terms like universe, infinite intelligence, higher power, infinite mind, spirit, god, universal power, inner wisdom, and so on, to refer to that power that created the universe. If you don’t connect with any of these terms in your own mind, just substitute something else that works for you. After all, it’s not the word itself that is important. It’s the meaning behind it. As another disclaimer, I’m not a psychologist nor a psychiatrist. I’m an entrepreneur. And I love creating things out of nowhere. It can be related to business or personal. Like a composer who creates a symphony, I can take abstract thoughts and convert them into deliverable assets. In relationship, I see beyond the tangible. I can guide you to view your life through new lenses, giving you a new perspective to any challenges you may have. In this article, my stories will include the good, the interesting and the personal part. However, to respect the privacy of the people involved, I may, from time to time, change the person’s true identity. Today, I can proudly say I’m living a successful life. It wasn’t so a few months back. Although I aim to stay positive, there may be times where I will be sharing some deep personal feelings. In any way, I don’t mean to blame or criticize others and I hope no one gets offended in the process. It’s like a movie where the actors must bring you through their journey to arrive at the tail end of the story. Except in my stories, there are no villains. I believe the universe sent me these people, I met along my journey, on “purpose” to learn and grow. All my shares are without any judgment. None of us are perfect. Only through the struggles, I learned to discern between what I was willing to stand for and what I was no longer willing to accept. This lesson alone has been priceless for my growth. Of course, if you have a burning question and can’t wait for the next podcast or article, please reach out to this email address: ask@nadiafleury.com. In January 2012, I chose the unbeaten path. I quit my high paying job to fulfill my dream of owning a skincare business. I did my best with the resource I had at that time. Instinctively, I knew the fastest path to growth was to team up with others. But the lack of money stopped me in my track. I resigned to do a lot of the work alone. Let’s just say during the first three years of the business, our relationship was going like a rollercoaster. The thing is that, no matter what I did, it never seemed to be enough. I got so caught up in trying to learn everything from Formulation, QuickBooks, E-commerce, Amazon, Branding, Sales & Marketing, Social Media, etc. that I forgot to live. I felt that I didn’t deserve to be happy until I was financially successful. Adding to my low self-worth, my husband was having a hard time providing for the family. He wanted me to be in revenue. So that the burden wasn’t always on his shoulder. Just recently, I did realize what was taking place at that time was a classic clash of two people with two different agendas. In the book “Good to Great,” the author, Jim Collins, mentioned about the importance of knowing who sits in the bus and where. And more importantly who doesn’t belong in the bus. It applies in business and personal relationships. Notice when you hang out with people who don’t support your growth. Pay attention to what they say and do, especially when you start venturing out of their comfort zone. There may come a time where you have to choose between their friendship and your new goals. When this arises, it can bring unforeseen challenges. Watch out for any of the five negative emotions: anger, sadness, fear, guilt, and hurt. They are real and can paralyze your growth. Much later did I realize that the biggest struggle I had with my husband, in regards to the enterprise, was that we had two different agendas. Mine was to build a world-class skincare brand. In business, there are two approaches: climbing the corporate ladder rung-by-rung and staying on the grown for a while to build a helicopter. I had so much imagination and didn’t want to be confined to other people’s paradigms. So, I chose to build a helicopter. Before quitting my high paying job, my husband had grown accustomed to the steady stream of income as I come home. When I left the company, the paycheck stopped too, causing a shift in the relationship. So, he saw the skincare business as an exit strategy. When I’m in revenue, he will be able to go back to being comfortable. Unconsciously, other things were pulling both of us in opposite directions. On one side, there was a low thermostat setting, meaning not wishing to achieve more in life, while I was dreaming big. Secondly, I don’t know at what point in time this took place, but I know in my husband’s mind, he associated that if I’m financially “wealthy,” I would leave him. So, guess what happened? Consciously, he wanted me to be successful so that he could go back to a place of familiarity. However, unconsciously, he feared that if I’m successful, I will leave him. I knew it’s normal for an entrepreneur to make mistakes. That’s how we learn. Yep, you got that right! There are no books that provide the exact right answer when you build something from scratch. The instruction manual comes after. I never lost the high achiever attitude. However, after few years of no revenue, I started feeling like I was a burden, which took a toll on my soul. I was afraid of my real potential. I had ventured into something I had no idea how to do. I could only trust that what I was working on, would one day pay off. Over time, I started doubting my abilities. I was so afraid of hearing more criticisms. I couldn’t carry a conversation without stammering out. I’m not sure which was more hurtful between watching my husband’s body language as to how long it took me to deliver a sentence or being ashamed for not bringing some money to help pay for the bills. At that point, we had to refinance our home. I didn’t know what to do. So, I resigned to hide in the kitchen, which was partially converted into a laboratory. I kept hoping that tomorrow would be a better day. On December 31, 2015, after another argument with my husband, I asked myself if the only reason to my existence was to make him miserable. I didn’t want to fight. All I wanted was for both of us to support each other emotionally. At that point, the air was so thick with negativity. It was hard to see ahead. It’s like I was in a fog. Intuitively, I knew there was something wrong in my life. But, I didn’t know what it was. That night, I asked God to help me, to show me a new path because the one I was on, lead me to a dead-end. At the end of the event, there was an enrollment invitation. Members would have access to mentors and coaches, as well as other exciting opportunities. I wanted to participate. But, it required a substantial financial investment, which I didn’t have at that time. As I thought about this, my body was sitting quietly yet my mind was spinning with new ideas. Images of missed opportunities came rushing through me. SHOULD THE LACK OF MONEY DICTATE MY GROWTH? In years, I had always consulted my husband before incurring significant financial expenses. We normally decide “together”, if the expense was justified or not. I realized we had always let a lack of money dictate our future. I wondered where this behavior had taken me. It hadn’t improved my life or allowed me to grow. There was no anger nor blame on this. Just a realization that my past choices were no longer serving me the way they once had. Suddenly, a message from above came to me, “You already know how you will address your challenges by choosing who you are going to discuss them with.” I knew if I ask my husband’s permission, he would tell me, “No, we can’t afford it!” I was at a crossroad. How long will I let my husband decide what is best for me? I chose to invest in my “self.” That day was a pivotal moment for me. For the first time in 20 years, I put ME first! However, the tale of this blog post doesn’t end here. It’s just the beginning. I gave you an apercu of my life before meeting all these coaches and mentors that helped me out. It made me think, “What if I could help more people?” It then gave me the idea to create this article and Podcast. I’m going to share with you what took place after meeting all these coaches and mentor, how they elevated me and how they supported me in my growth. I realized you might not have the same flexibility as I did if you are working in an 8AM-5PM job. Or maybe, you live too far to attend live events. Or, you may not have the financial means to afford the mentors and coaches. So, I will be sharing with you my heroes. The ones that took the time and saw my potential. One article at a time, I will showcase special moments that have made an enormous impact in my life. Before I conclude on this episode, let me say this. My first challenge was learning to be comfortable. Being comfortable which means daring to create this podcast. And as you will discover, regardless of how challenging life has been, since the day I decided to invest in my growth, I wouldn’t trade any minute of it because it made me who I am today. My mission is to inspire you in bringing awareness and insights. So that, your tomorrow is better than your yesterday. To help you in releasing what is blocking the flow of your success; to awaken your full potential and reconnect with your life again. Because YES, YOU DESERVE TO BE HAPPY. 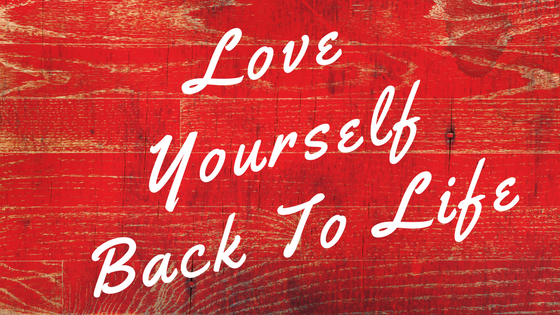 YOU DESERVE TO LOVE YOURSELF BACK TO LIFE!